This afternoon I visited the Arts & Business office in Manchester to deliver my work for the forthcoming Visual For Business group art exhibition at Salford Business School. The exhibition is being installed tomorrow and will run for six weeks until the end of June. A selection panel consisting of over twenty members of staff at Salford university looked through over 200 pieces of artwork to consider for this exhibition. I have three framed photographs featured in the exhibition (‘Aloha From Blackpool’, ‘Starlings Above South Pier’ and ‘The Wave’) and I think they represent a nice selection of photographs from my personal and commissioned portfolio. While I was at Arts & Business I was able to get my hands on a copy of the Visual For Business catalogue for 2009/2010. 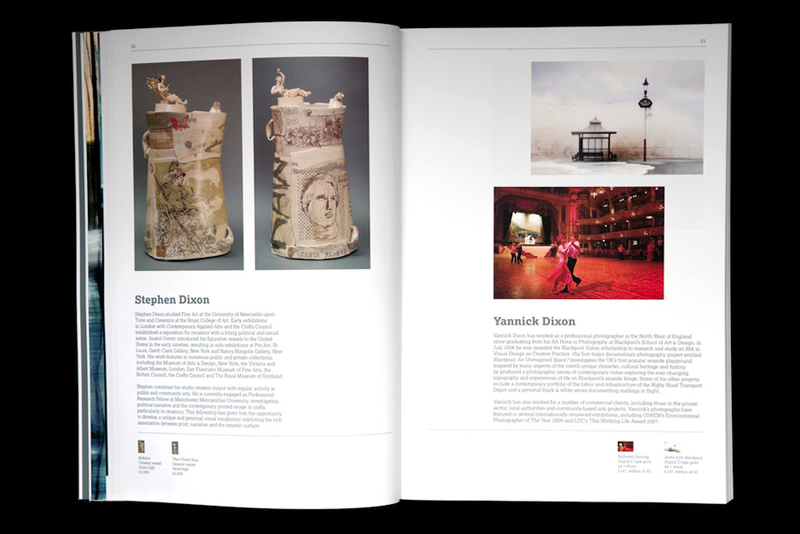 The catalogue profiles all 157 artists represented in the Visual collection and shows a small sample of their work. All of the artists were carefully selected by experts from Arts Council England, Tate Liverpool, Arnolfini, De La Warr Pavilion and Ikon Gallery. The collection covers a broad range of creative practices including fine art, photography, digital media and contemporary craft. This is the first time that I’ve had my work printed in an art collection catalogue and I’m really pleased to be featured alongside so many great emerging and established artists. As soon as I arrived home I took a few photographs of the catalogue for my own records and to share on my blog for all to see. If your interested in purchasing your own copy of the Visual For Business catalogue you can order one by visiting their website. This entry was posted in News and tagged Arts & Business, Catalogue, Manchester, Representation, Visual For Business.